Bureaucrats versus consumers. Government versus the market. If you’ve followed the debate over health care, then you’ve probably heard conservatives use these terms to describe how the Republican vision for Medicare compares to the Democrats’. 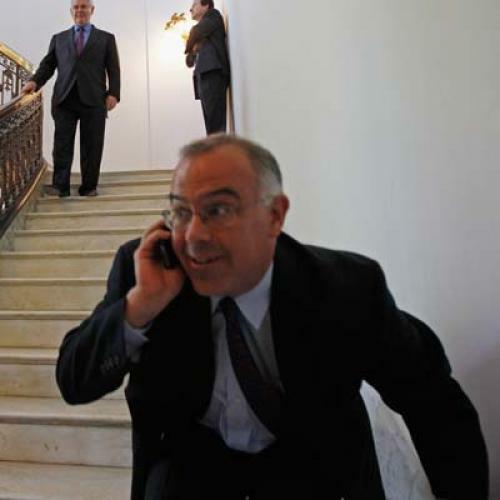 David Brooks is the latest. In his Tuesday New York Times column, he explains that “Democrats generally seek to concentrate decision-making and cost-control power in the hands of centralized experts” while “Republicans at their best are skeptical about top-down decision-making.” Brooks then goes on to suggest Democrats probably have it wrong and Republicans probably have it right. As usual, Brooks makes his point with more grace and humility than most conservatives do. But he gets quite a few things wrong. And the most important, I think, is that he grossly mischaracterizes the two policy options actually on the table. Brooks writes as if the key distinction between Democratic and Republican plans for Medicare is the way they would manage the program, with Democrats entrusting experts to make key decisions about where to spend money and Republicans entrusting consumers. But that’s not the most salient difference between the two approaches. The most salient difference is that Democrats would preserve Medicare's fundamental guarantee of health benefits at affordable prices. Republicans would not. Remember, Republicans would explicitly break this guarantee, by replacing it with a voucher -- or, if you prefer, the equivalent of a voucher -- that would rise far more slowly than any remotely reasonable projection of future health care expenses. The Congressional Budget Office concluded that, by 2030, the typical senior would be responsible for two-thirds of his or her medical costs. As Princeton economist Uwe Reinhardt wrote in his Times some week ago, the Republican plan would likely "shift an ever-larger share of the total health spending on Medicare beneficiaries from the books of government to the household budgets of these beneficiaries." Brooks’ characterization (and, again, he’s hardly the only conservative who has invoked it) would be accurate if the Republicans had proposed something different. If Republicans promised that the voucher would continue to put decent health benefits within reach of every senior, then the choice Brooks conjures up would really exist. But, of course, if the Republicans did that they’d have to put a whole lot more money into the program. And its structure would look a lot less like the Ryan plan and a lot more like the Affordable Care Act's coverage expansion for non-elderly Americans -- which, by the way, relies on markets very much in the way Brooks idealizes. To be clear, the philosophical difference Brooks portrays is both real and important. Democrats trust government more and markets less than Republicans do. I happen to think that, contrary to Brooks’ assertion, evidence from here (the Veterans Administration) and abroad (France, Holland, Taiwan…) backs that up. Ezra Klein has more on that in his column today. But this debate just isn't the biggest story here. The biggest story is that one party, the Democrats, wants to preserve Medicare while the other, the Republicans, wants to end it.